The 33-year-old Ciman played most recently played for FC Dijon in France's Ligue 1. He spent 2015 through 2018 in MLS with the Montreal Impact and Los Angeles FC. "We are excited to add a player with Laurent's vast experience," Toronto GM Tim Bezbatchenko said in a statement. "This is a player who has been a captain of two MLS teams, an all-star and the defender of the year. "He is an excellent passer, an organizer in the back and a passionate, fiery competitor. We look forward to him joining our club immediately and becoming an important part of our group." The two veterans will be supported by Chris Mavinga, Eriq Zavaleta, Nick Hagglund, Gregory van der Wiel, Justin Morrow, Ashtone Morgan and Brazil's Auro in the backline. Toronto set the stage for the Ciman acquisition earlier in December when it moved to No. 2 in the allocation ranking order in a deal that sent San Jose $75,000 US in general allocation money, $75,000 in targeted allocation money and the No. 6 allocation spot. Ciman left LAFC in late August, saying the move to France was the best for his family's future. 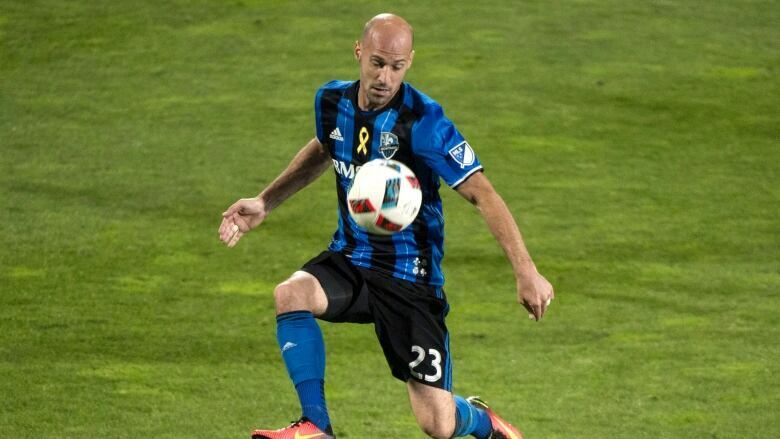 Prior to coming to MLS in 2015, Ciman spent eight seasons in Belgium's top division (with Charleroi, Club Brugge and Standard Liege) and has played 20 times for Belgium's senior national team. Ciman made $661,667 in 2018 with LAFC, according to the MLS Players Association. FC Cincinnati now has five selections in next month's MLS SuperDraft, including the No. 1 overall pick. The draft choice traded by Toronto is the 30th overall.